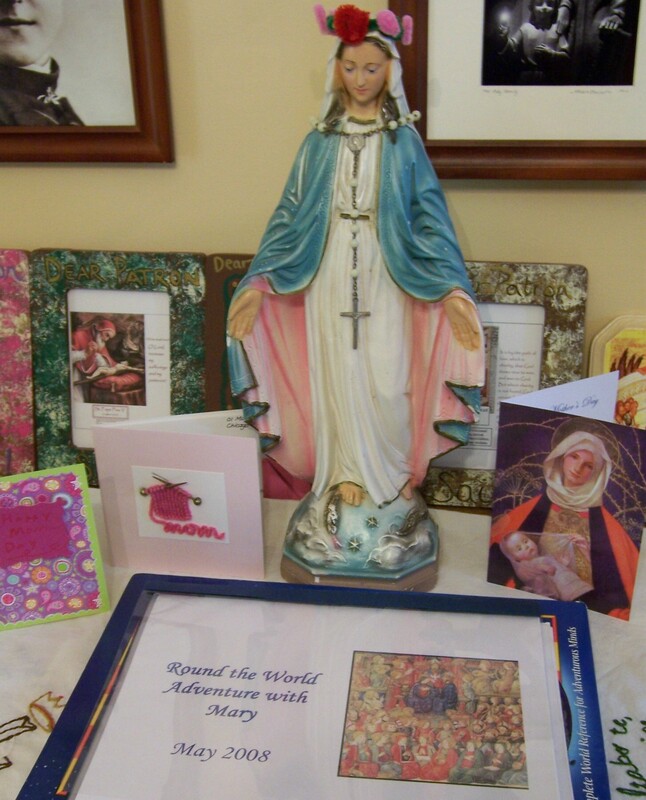 Mother’s Day, May Crowning and treats! Today is Mother’s Day: a grand day to celebrate all our mothers, living or deceased, as well as those who have been like mothers … especially the Blessed Mother! We crowned our outside Mary as well as our Mary inside on our family altar. For brunch, I put together an Overnight Blueberry French Toast … a recipe I found in the beautiful and thought-provoking Plain Wisdom (see my review here). This was so good … and the smells in the house while we waited for it to bake were amazing! The brunch, with bacon added for good measure, was declared an absolute smashing success (so I’ve included the recipe below so you can try it too … let me know what you think!). Kotch (19 and away at school) called and chatted (and had also sent a lovely card) while Brikhead (21 and off on his own) “facebooked” me … so heard from them al; a great blessing to know all are well and love me. Hope your Mother’s Day was just as wonderful as mine is! Recipe for Overnight Blueberry French Toast: prep the night before! Butter a 9×13 baking pan. Place half the bread cubes in the buttered pan. 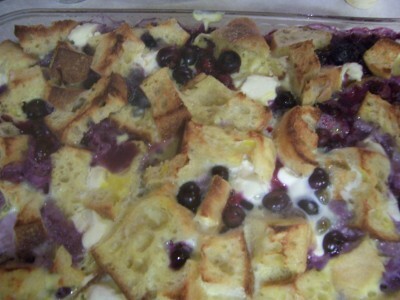 Top with cream-cheese cubes and blueberries, distributing evenly. Top with remaining bread crumbs. Beat eggs, syrup and milk and then pour evenly over the bread. Cover the pan and place in refrigerator overnight.